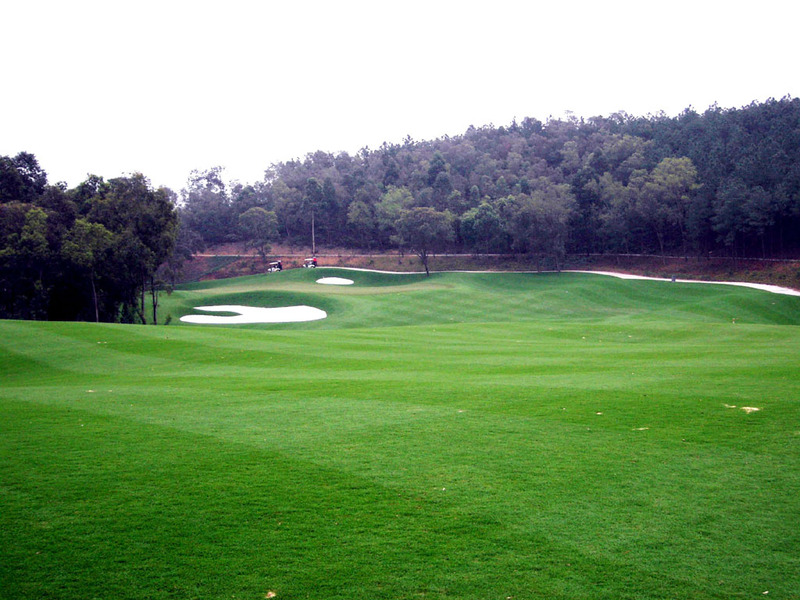 This beautiful course is in a hillside with moderate ups & downs. Water and bunkers come into play on most holes. 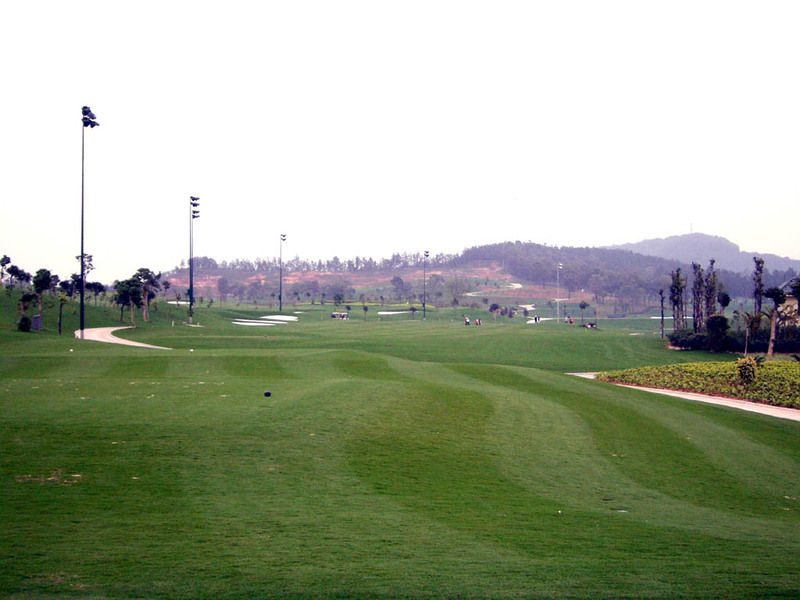 This is a long course, over 7200 yards par 72 but the fairways are generous, so it is actually not that difficult compared to the total distance. 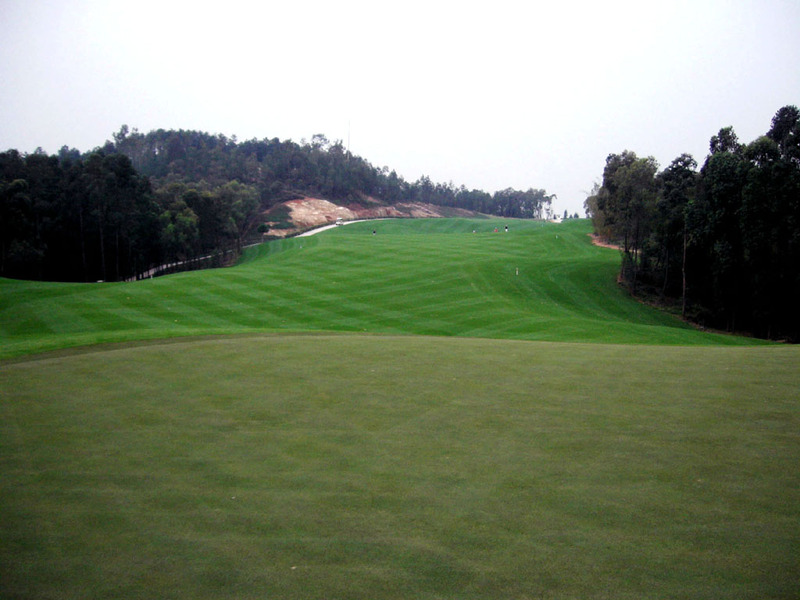 It also features that each green slopes a lot with many double tiered greens. A very long, slight dogleg to the left. The hole is separated by tress and rocks and very neat. The wide green is elevated and wavy. You should avoid a big bunker guarding the front of the green because it is deep. A beautiful but difficult hole. 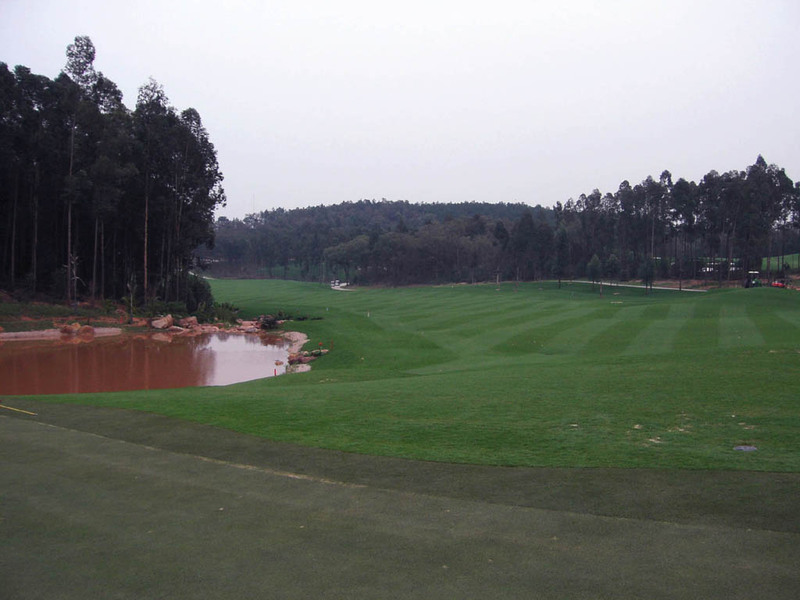 The landing area becomes very narrow because the fairway is squeezed by bunkers on the right and a lake on the left when you hit the tee shot over 250 yards. Moreover, the fairway strongly slopes from the bunker to the lake, so it is a wise idea not to use the driver off the tee. You lay up in front of the right bunkers off the tee and when the approach shot over water is accurate, you will be rewarded as birdie. A downhill par 3 over a lake. The green is wide and undulated. A beautiful hole separated by trees. A creek runs along the right side of the fairway. 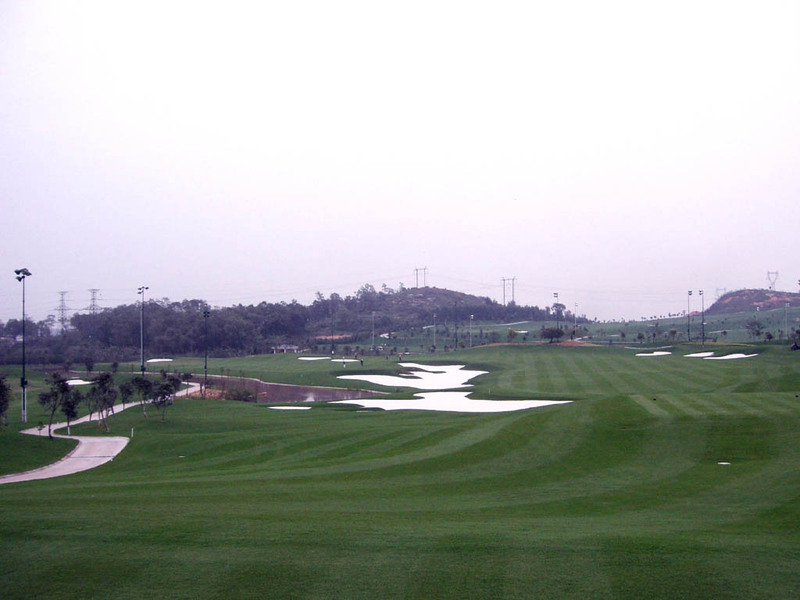 A dogleg to the left with 2 routes to choose. 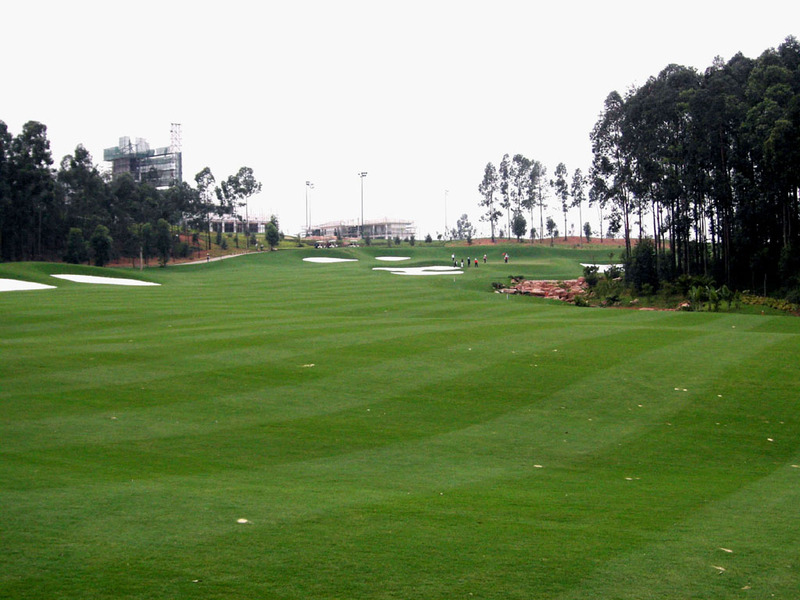 To aim the left fairway, you need a carry of 260-270 yards over a lake and bunkers. 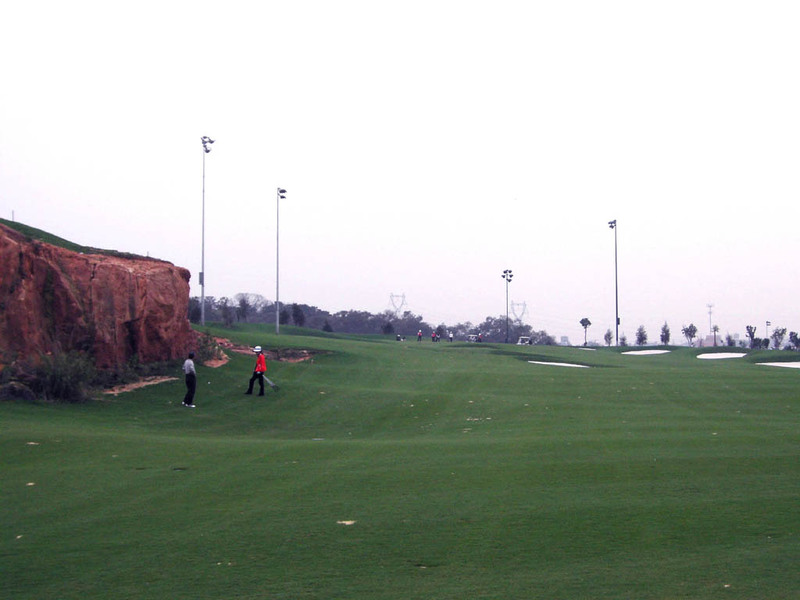 To play safe, you should hit into the right fairway although it is longer. 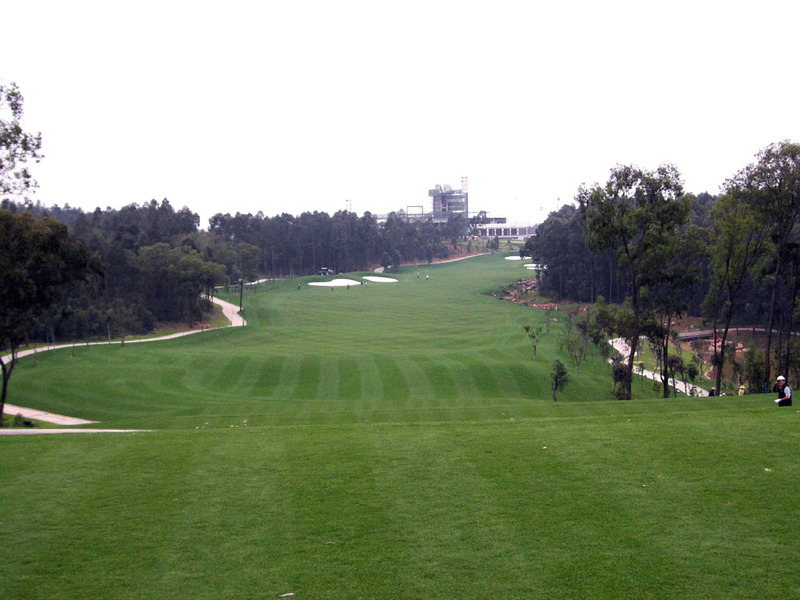 A demanding par 4. 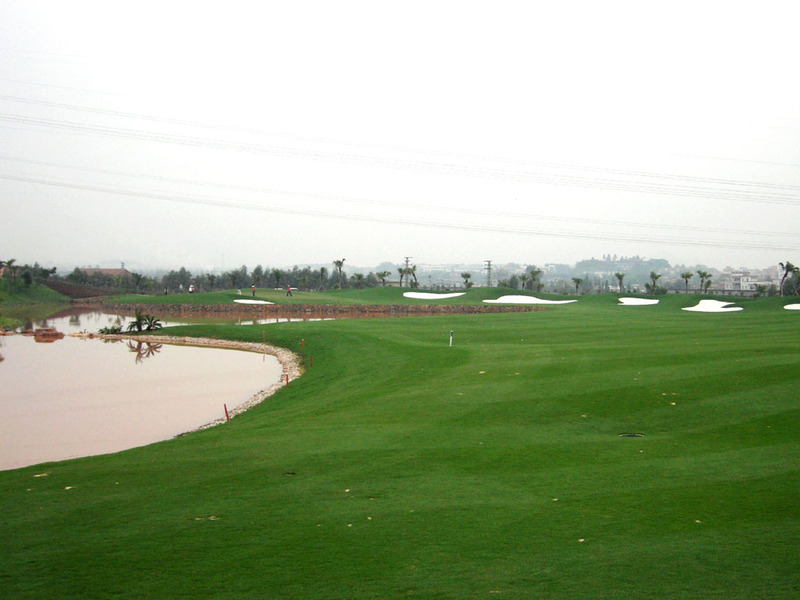 The left of the fairway borders a lake and the green is greatly swung to the right across the lake. 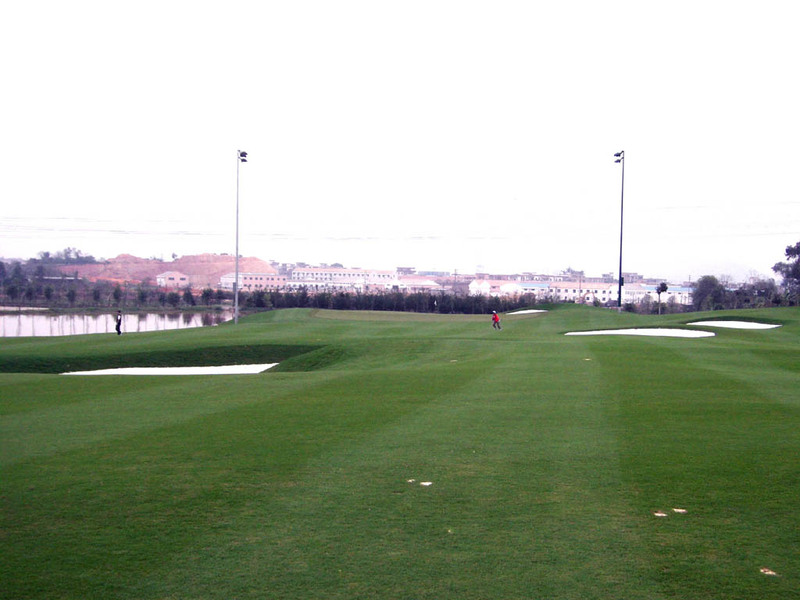 The best landing spot of the tee shot should be the fairway close to the water. The second shot is over the water. The green is double tiered. A long, slight dogleg to the left. Scenic rocks along the left side of the fairway enhance difficulty. It takes within one hour from Guangzhou by car. The course has just opened when I played and the clubhouse has not yet completed. The caddies were well trained; for example, all four caddies clapped their hands whenever we hit good tee shots. When I tried to hit from the longest gold tees, my caddie told me to have a pro certificate. Of course, I didn’t have it and showed her a single handicap certificate instead and finally managed to play from the gold tees. 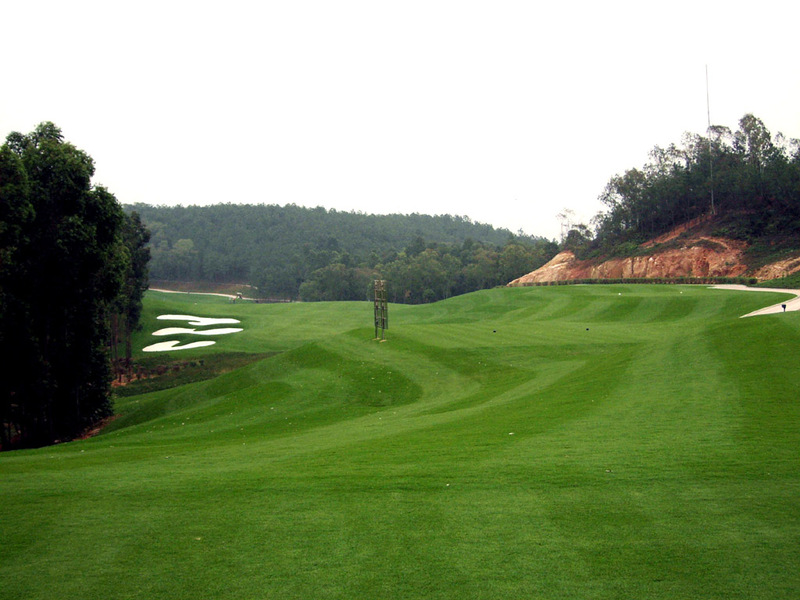 The other JMP Golf Design group designed courses in Asia are Sun Valley (紅峡谷) GC, Agile (中山長江) G&CC – A Course, Beijing (北京) GC, Lakewood (翠湖) GC in China, Nasu Chifuriko CC, GlenOaks CC, Prestige GC, Iwate Numakunai GC in Japan and Kulim G&CC in Malaysia, Bukit Prelangi (Rainbow Hills) Resort in Indonesia, Lakewood CC in Thailand and Royal Kuan-His (老翁関西) GC in Taiwan.